France promotes collective solar self-consumption as a new model for commercial and residential customers. A demonstration project has now been implemented. The 40.6 kW PV installation is installed on the roof of a municipal technical service provider in the municipality of Pénestin. Hanwha Q CELLS has supplied 140 of its Q.PEAK-G4.1 high performance solar modules to one of the largest self-consumption rooftop PV projects in France. Installed by Émeraude Solaire and managed by Partagélec, the PV rooftop array has a capacity of 40.6 kWp and is located in the municipality of Pénestin in France’s northwestern region of Brittany. The system has been installed on the roof of the municipal technical service provider and covers an area of 234 square meters and is located in the center of the CLOSO Business Park. The project aims to launch the solar energy consumer sector in France and is one of the four pilot regions identified by the French electricity network operator Enedis. The other three have been installed in Bordeaux, Forcalquier and Perpignan. Collective self-consumption is a new model for French business and residential customers. The term applies to consumers who share solar power produced at a single point in time but share it among several buildings that are locally consumed. 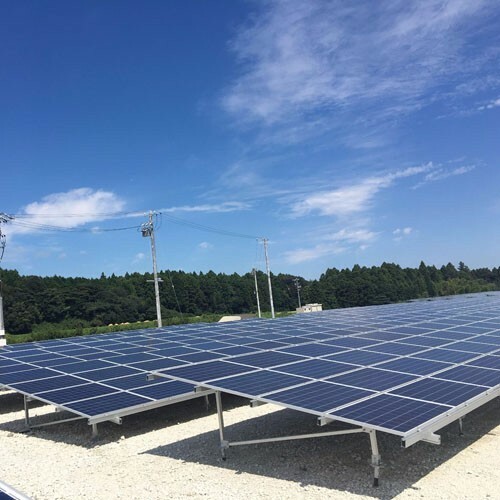 The professional partnership between Émeraude Solaire and Hanwha Q CELLS has been the strength and mutual trust for five consecutive years and has successfully completed a series of projects in France.